I often get asked to speak to journalists and student groups about social media and how they should be using it. This is, to say the least, a broad topic. It’s hard to know exactly what to focus on. I’ve taught entire courses on social media and journalism, and although the new social journalism MA program I lead at CUNY is about more than *just* social media – we believe in using all the tools at our disposal to listen to and engage with our communities – our program is infused with the idea that social tools are a great way to connect people and help communities to achieve their goals. But after thinking about this a lot over the years, I’ve come to the conclusion that you can, in fact, distill the essence of social media for journalists rather simply. It comes down to getting comfortable with an ethic of sharing and listening. If you don’t want to do that, fine, but frankly, if so, social media is a waste of your time. But it’s all so narcissistic, gross! Plus, I have nothing to say. I still hear something along those lines all the time, even though we’ve generally gotten past the idea that social media is only about what you had for lunch. Look, I get it, to a point. We all know one of those people who are still taking duck-lipped selfies in the bathroom long past the age when such “look at me” behavior is at least somewhat understandable. There are numerous examples of people online doing all kinds of stupid, self-aggrandizing things. But here’s the thing. If you are Doing it Right (imho), social media, especially for journalists and/or journalism academics, is NOT about saying “look at me!” It’s about sharing, and about having a healthy curiosity about what others share and what you can learn from them. Others have written things along these lines before, but I think it still bears repeating and amplifying, given the amount of misconceptions that abound. Fundamentally, it’s a mindshift. You are on social media to share stuff that that is genuinely valuable to other people. It makes their lives better or more interesting. You have knowledge that others can use. Every single day, any journalist or professor reads at least one interesting thing. You talk to one interesting person, or even a LOT of interesting people. You have an interesting thought or insight. You see something beautiful or unique. You make a funny. So, drop into your stream and share it. And spend a few minutes listening and learning from the stuff other people share. Engage with them as relevant. Repeat. This obviously and naturally means that you are sharing other people’s stuff. This doesn’t mean you can’t share your own work, of course. But if you are *only* using social media to promote your own stuff, you are spam. I see so many authors, for example, who *only* or almost always tweet about their own books, for example. I love books, and am probably interested in yours. But if that’s *all* you do, you are basically like a telemarketer as far as most people are concerned. This is not a technical skill. None of these tools are all that hard to use, and unless you have a big budget or a lot of time, no specific targeting tactics or carefully-wrought strategies are going to be all that helpful (I’m talking here about your personal use of social media, here, not that of institutions, which is a different story). If you do this, the self-promotion and the personal branding and all that stuff people talk about is a natural byproduct. People start to associate you with being a reliable source of info about a few topics, with some humanity thrown in – and even the most serious among us generally prefer to engage with people not brands and enjoy some levity from time to time. It’s just that it has to come from a place of authenticity, rather than a contrived effort to get people to think you are so great, because the latter is just annoying. And not only can social media be a source of news tips and a way to cultivate sources, it gives you a window into other people’s lives, attitudes, and beliefs that is both fascinating and valuable. For me – and this may be a byproduct of my nerdiness – I was always doing this kind of thing through a weird compulsion to share things, long before there was social media as we know it today. I was *that person* back in the day that was constantly emailing you with articles I thought were interesting or so enraging that I wanted everybody to know about it, damnit! (Most watchdog journalism gets me pretty riled up.) Or sending my friends in far-flung places little newsletters with attempts at humor about dumb little things I had done or had happened to me. Hell, I was collecting articles of interest and filing them away for reference when I was kid, before there was an Internet at all. When sites like Twitter and Facebook came along as places to share and connect with others and create a stream of valuable things you had read for future reference, well hot damn, it was perfect! I’m pretty sure I’d be tweeting away even if not a single person was paying attention, because doing it is fun just for myself – a kind of sticker collection for adults, I suppose. Instead of scratch-and-sniff, now we collect experiences and knowledge in an accessible stream we can share with everyone. How awesome is that? Journalists aiming for success in social media in 2015 and beyond need to awaken from their bubble of like-minded media mavens and join digital conversations in ways that enhance authenticity and build trust. Journalists need to start listening to the communities they plan to serve in much broader and more focused ways and participating in conversations already happening online in ways that add information and insight, rather than simply broadcasting the same messages through new channels or talking amongst themselves. They need to use social media to be transparent about their process in a way that helps reassure a public that currently trusts little about any major institution, much less “the media.” I’ve got my eye on Reported.ly as one great example that may show us the way forward in 2015 on how to do this. Over and over I hear from journalists that are reluctant to do more than post a few headlines and links on social media because it feels to them like the whole thing smacks of narcissism and self-promotion. I get it, believe me, but I think that gets the whole thing exactly wrong. Participating in the distributed digital conversation *is* about sharing your work as well as some parts of your personality and interests. However, if you are doing it right, it’s not all about you. The mindset should be one in which you are willing to genuinely and openly share your knowledge and ideas, mindful of what might be useful or interesting to others, and then get some back in return. This sounds simple and even trite but I think it’s critical and often misunderstood. Think of it this way — lurkers who just read posts but never share anything of their own are just taking and taking from the community but never giving back. I had a former colleague once who prided himself on reading everything in my Twitter feed and that of others but never posted himself. While I always argue to my students that listening is more important than talking, this felt voyeuristic and strange to me. If, as a journalist, you really don’t believe that the things you are uncovering and reading and learning on the job aren’t worth sharing, you are in the wrong profession. Equally perplexing, however, was one journalist that recently told me about Twitter: “I never actually read my feed anymore.” Social media is a rich resource for reporting, and even if it’s only for a few minutes each day, these tools should be helpful for getting all kinds of perspectives that the traditional media Rolodex (remember those??) of typically old white men in power didn’t offer access to. If tragic events and the resulting outrage in places like Ferguson, MO have taught us nothing else, it is that there are any number of important issues simmering in many communities that have been historically undercovered in mainstream media that are now finally getting a larger voice. Best we listen. Social journalism is here and coming at you in January 2015! 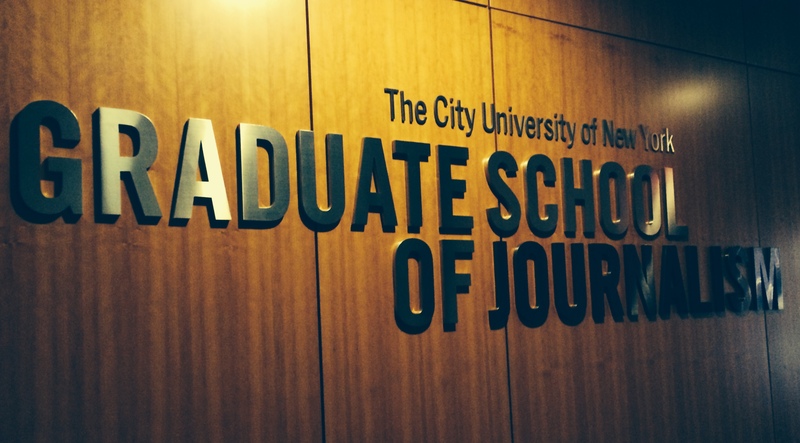 It is official: The CUNY Graduate School of Journalism is launching a new Social Journalism Master’s degree program in January. On October 15, we got official approval from the state of New York to launch this program, so now we are moving fast to process applications and enroll a new class to begin soon. As the brand new director of the program, I’m still trying to get everything figured out, but I’m pretty thrilled. We are trying to reinvent journalism for the digital age and inject a much-needed mindset that envisions journalism as a service, not a product, with a relentless focus on engaging communities. At the end of the day, if what animates you is a passionate belief that journalism is vitally important to a functioning democracy, the only way we can hope to sustain it is to keep finding new ways to ensure that we can find audiences for our work and sustain it financially. It’s pretty simple, but that’s what I keep coming back to, over and over, throughout my career: Invent or die. While I don’t think everything we are proposing is completely “new,” there is no doubt that we are not seeing large-scale execution of these concepts in the profession today. Many of the core ideas of social journalism have long philosophical roots and are tied to earlier efforts to improve journalism and its connection with its readers. But, even as more and more journalists have adopted social media and other digital tools, many still do so with a “broadcasting what we think you need to know” mentality. There are many notable pioneers in social journalism who are constantly finding new ways to engage audiences, but we need to help spread their techniques much more broadly. As heart-warming as all this “serving-your-community” stuff is to do-gooders like me, evidence is mounting that this is all critical to the bottom line. Researchers like my friend Doreen Marchionni have learned that readers expect and demand interactivity and that conversation builds credibility and trust. Big brands are capitalizing on things like native content and using the same terms, like “engagement,” as crucial metrics because they give you more bang for your buck than pageviews. Jobs. Few things are more satisfying as a professor than seeing your students get jobs. Especially cool, interesting jobs. We’ve been told by both well-established traditional media organizations and startups that these are skills they prize and are often hard to find. For example, Meg Pickard, who helped to establish the Guardian’s leadership in interactivity and now is a consultant to the industry, told us that in her seven years of hiring, she found that direct experience with communities is missing from the talent pool. Since I started working here, I’ve gotten many emails or direct messages from employers that are ready to hire our graduates. CUNY Graduate School of Journalism brings together a lot of folks with seriously impressive traditional journalistic chops and an experimental, entrepreneurial mindset. I mean, I’m new, I’m not totally biased yet – this isn’t just marketing. I’ve long thought journalism schools need to be leaders, not followers, in helping the industry know what it needs, given that overall in academia, we have lower risk. That is what CUNY aspires to do. And as a newcomer to New York myself, I can say these are the kinds of people you dream of learning from, not to mention that we are able to draw adjuncts and guest speakers from the many major media organizations and technology and social media companies that call this place home. Heck, we are practically next door to the New York Times! On Oct 3 at Noon Central/1p Eastern, #EdShift (part of PBS MediaShift) is going to host a chat on “Social journalism: How can we recast journalism as a service and make it more responsive to communities?” It’s obviously promotional for our new initiative at the CUNY Graduate School of Journalism to some extent, but really we want to talk about the larger issues raised by this idea, and how we can best prepare students for a landscape in which they will need to go beyond just creating content to connecting people with each other, engaging in conversation, producing tangible impact, etc. If you’d like to be a participant, let me know in the comments or via Twitter. It is all pretty informal, but I’ll be hosting and we are lining up some folks in advance. Also, feel free to share with others that might want to participate, pros and academics welcome. What are the best digital tools we can use build stronger relationships with our audience? What are some of the challenges involved or obstacles? How can we become better informed of communities needs and often neglected voices?